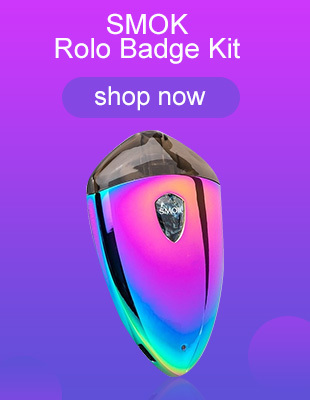 Today I want to introduce two new pod vape kit to you, One Lambo Kit and GTRS LOCO AIO Kit. They are both come from a not very famous brand, but still have interesting features, let’s come together to see what’s their advantages. One Lambo Kit is building with a light multi-faceted case without buttons, a maximum power of 12 watts and an integrated battery with a capacity of 360 mAh. The developers were inspired by a well-known automobile brand. The zinc case was given a multifaceted shape, supplemented with carbon fiber inserts and three colors. A USB port was installed on the end and a loop was provided for the strap. The device is activated by puff and can accelerate to 12 watts of power. Powered by a 360 mAh battery. The translucent replaceable cartridge is equipped with a built-in evaporator for 1.6 Ohms and a 2ml tank. GTRS has released the GTRS LOCO Kit. His has a cartridge with a 3ml tank, a built-in battery with a capacity of 1000 mAh and a maximum power of 16 watts. The case was given four colors and an aluminum alloy as the base material. From above provided a hygienic cover. On the front panel, there is around fire button with an integrated charge indicator and a prominent model name below. USB port installed on the end. The cartridge is equipped with two replaceable coils with a resistance of 1.0 Ohm, on the base, there is a ring for adjusting the blower. The tank holds 3 ml of liquid, the filling hole is located on the bottom, under the silicone plug. Powered by a built-in 1000 mAh battery. The maximum power is 16 watts. The resistance range is from 0.8 to 3.0 ohms. >>Where to buy the two new pod? If you are interested, you can go to vapesourcing cheap vape shop to get more latest news! Previous Previous post: Eleaf iStick Nowos Kit VS Wismec Active Kit, Which Will Be More Popular?